Enter her arrogant-but-hot professor Asher Green. He knows all about her special brand of crazy. In fact, he might be just as nuts as she is. Asher insists that the dead from a parallel dimension are trying to possess the living in this one. And since Addison seems to be the only one who can see these "wraiths," she just might be the key to saving the world. DARKSIDE SUN's blurb gives a pretty good idea of what to expect from the book. Told from Addison's perspective I quickly came to the decision that I was going to struggle with this one and I did from about halfway through to the finish. I love a good can't-touch-or-we'll-die trope as much as the next girl but instead of producing solid angst and conflict it just makes for a lot of whining and moaning. I'm a pretty avid reader of young adult and have been pretty happy at the trendy new adult genre's rise but Addison is an example of what I dreaded most about stepping into these waters. At first she seems like any uni student trying to wade through her first year but once the whole thing with the Mortal Machine starts it's like she's sixteen or something. Her voice as the narrator just makes the story feel so... half-baked. Even with a couple of really lovable secondary characters I couldn't quite bring myself to really caring if Addison (the special snowflake of this book) could get Asher to give into the thing between them. Then there's Asher. If you like your heroes to be one dimensional jerks you're going to love him. There are hints that he had a rough life before becoming a member of the Machine and of course the no-touchy rules so I wanted to buy him as redeemable but at no point in the entirety of the book did I wind up liking him even a little bit. The overall concept and plot of DARKSIDE SUN has great potential and I think a lot of readers who are in the target audience for the genre might dig it. I could almost bring myself to read another one in the series to find out what happens with the secondary characters (I adore Remy) but then it had to go and end on a ridiculous cliff hanger. Nope. This series is just not for me. 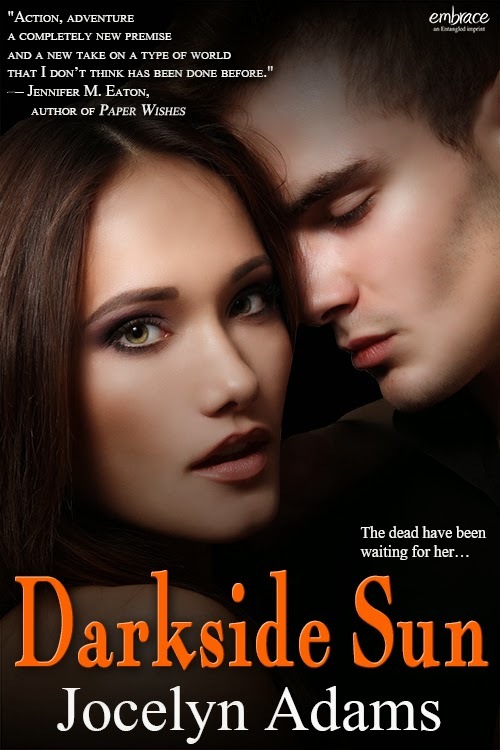 While it was not my cup of tea DARKSIDE SUN will probably appeal to younger readers who love Alpha heroes. The world building is a little sloppy but manages to be engaging if you're a fan of paranormal fantasy stories. Those who have a tendency to latch on to secondary characters are sure to find some favorites with the potential for pairings later on.